After a near death experience brought on by a cardiac arrest, Surinder J. Singh, an airline captain flying out of New Delhi, India, begins a spiritual quest. Raised by a Buddhist father and a Vedanta mother, his spiritual leanings appear to be somewhat eclectic. His friendship with a Monk while in Srinagar caused Singh to write, "my soul had recognized the chance meeting with a Monk as an answer to my prayers for guidance - he was God sent." The book delves into elements of spirituality, examining life, death, and purpose of life that often seemed above my head. Singh poses many thought-provoking questions, one of which was "do you get joy by merely seeking joy?" The Monk told him, "the origin of raw thought is a field of joy. God is present there as a power, not as a person." Surinder J.Singh, a professional airline pilot, at the prime of his successful career, turned towards spirituality for seeking deeper meaning of his personal existence. His passion for spirituality further intensified after he survived a Near Death Experience. During his airline days, he flew to interesting places, and transected with diverse people. A chance meeting with a Buddhist/Hindu monk, whom he accepted in the cockpit to show him the specter of Himalayan mountainous region of Kashmir, becomes his Guru. 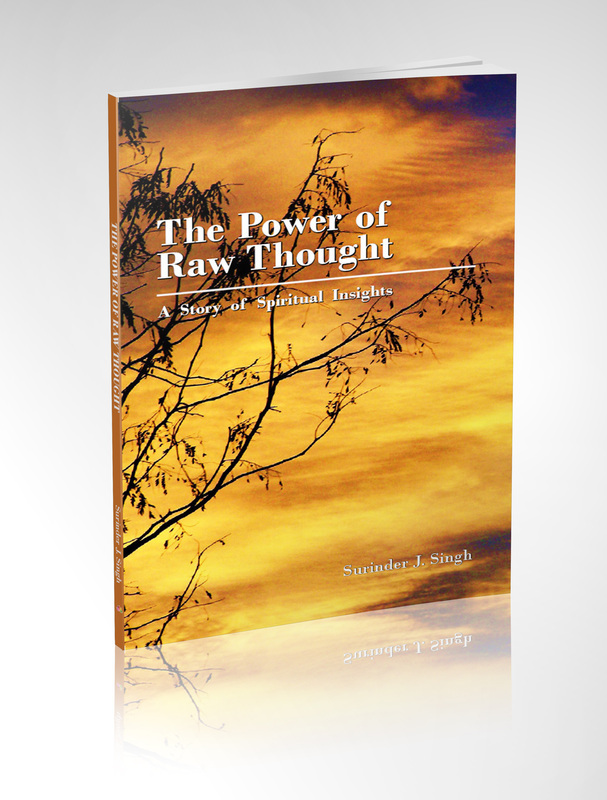 His spiritual insights have taken a form of a book, which is presented here: The Power of Raw Thought.